At this point, you’ve already secured financing, found property, and evaluated the land for its buildability. Now, it’s time to negotiate price with the current land owner. 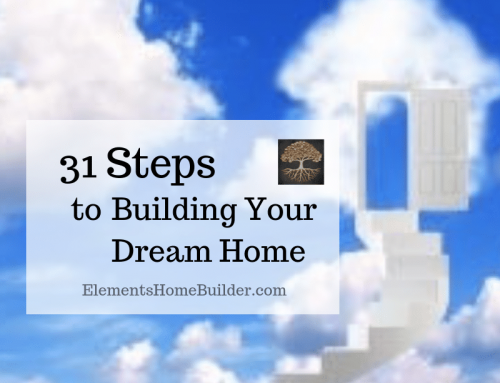 After purchasing land, you will want to build your dream home, and most likely, sooner than later. So, be careful about spending too much and over-extending your finances from the start. That being said, I have found that the best results come from making an initial offer that is honest, in good-faith, and at fair market value. You can try to low-ball the owner, thinking this will secure a good deal, but honestly, that scenario rarely works. More often than not, the owner either gets offended and breaks off the negotiation, someone else comes along and offers a fair price, or the deal ends up back at market value after weeks of haggling. My advice—skip the struggle and offer a fair price from the beginning. Let’s take a more detailed look at these steps. To determine fair market value without the assistance of an appraiser, do some research on comparable properties. If you have hired a realtor, he/she will pull sale records from the Multiple Listing Service (MLS). If you are purchasing without the assistance of a real estate agent, go to the county records to find land sale history in the area. After doing some research on recent sales of similar properties in the area, determine what they sold for per acre. Then, apply that price-per-acre to the land you’re considering. Next, objectively consider unique factors of each property that might impact the value. For example, perhaps the comparable property only has 50 feet of street frontage, while the one you’re looking at has 300 feet. Perhaps the property you’re interested in has a creek that runs year-round or the other property is adjacent to an oil well lease. All these things impact value and must be taken into consideration when determining fair market value. 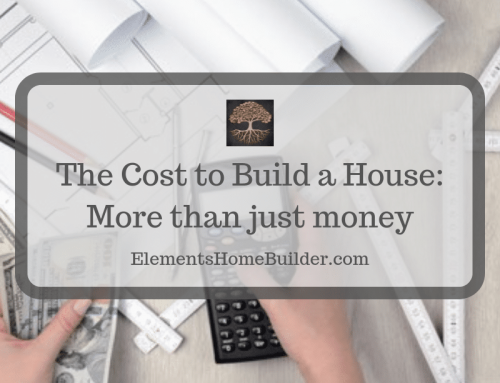 While hiring an appraiser will be an additional fee (costing approximately $400), this might be a worthwhile investment. The appraiser is simply doing a job and is not emotionally attached to the land. Thus, not only will the appraiser look at comparable properties, but he/she can more objectively consider the “unique factors” of the property. Because of this, you should get the true fair market price of the property. Also, having this information from an expert will help as you negotiate price. If the current owner believes the property is worth more than its real value, you can refer to the data provided by the appraiser. *Your lender will require an appraisal before closing. Because of this, check with them for a list of their approved appraisers. 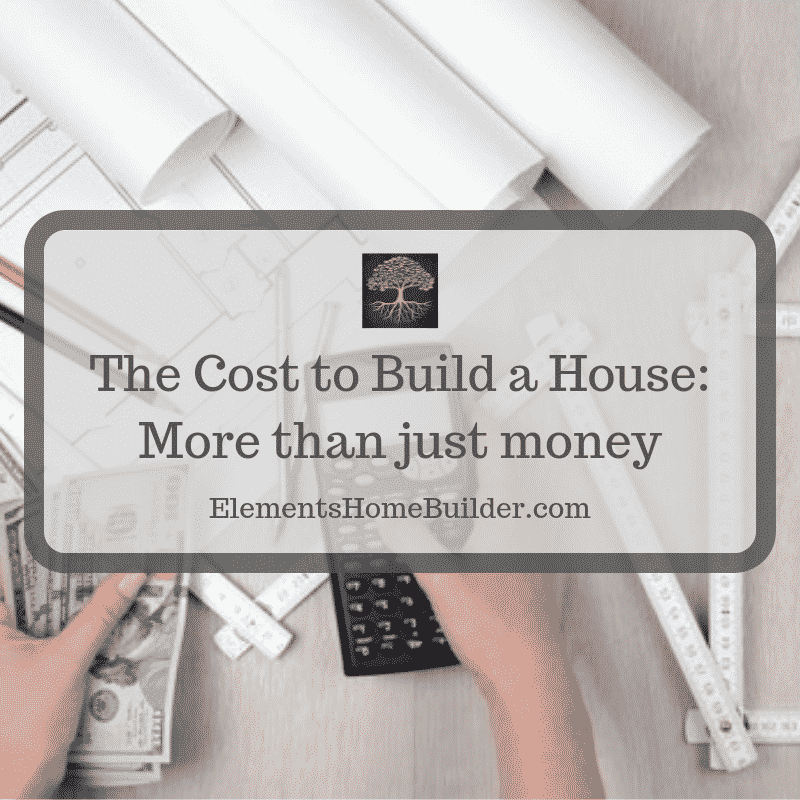 After you add this together, does the price of the land still fit within your over-all building budget? Is there room to negotiate or are you already at the top of your budget? You need to know how much negotiation room you have before you make an offer. 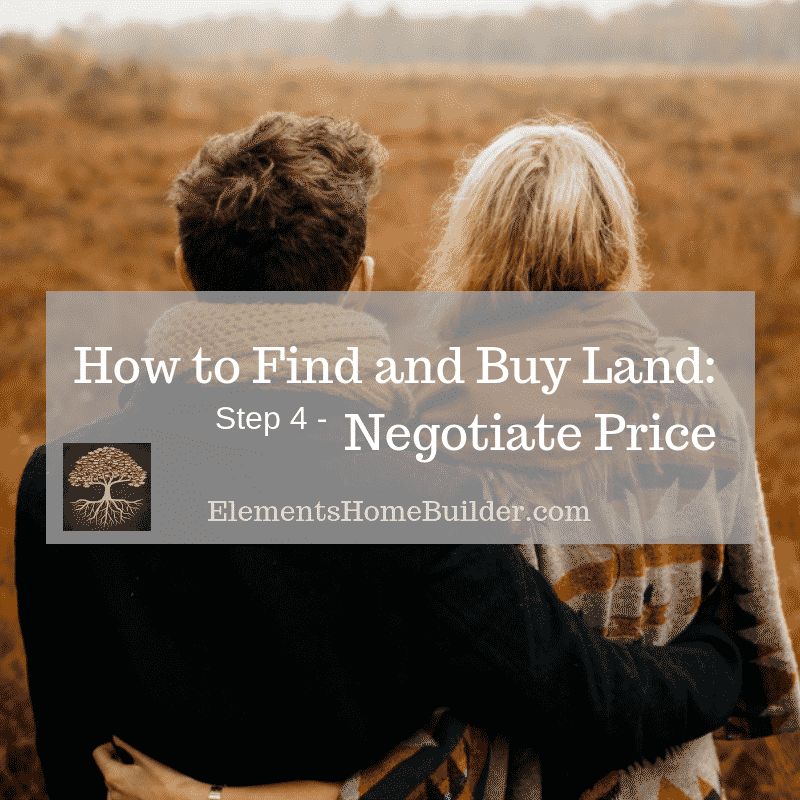 If the land price (including utilities and prep work) fits within your budget, you have a bit of negotiation room, and you will be able to make the down payment, then it is time to make an offer. Depending on your comfort level with negotiating a deal, you can present the offer to the owner yourself. You can, also, engage a Realtor to help you with this. Be aware that if the land is not listed on MLS, the current owner (seller) is not obligated to pay the real estate commission that the Realtor will earn for helping you with the transaction. If that’s the case, you will need to pay the commission yourself. 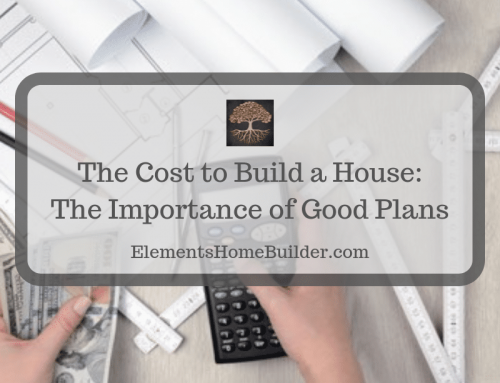 (Something else to consider when looking at your budget.) 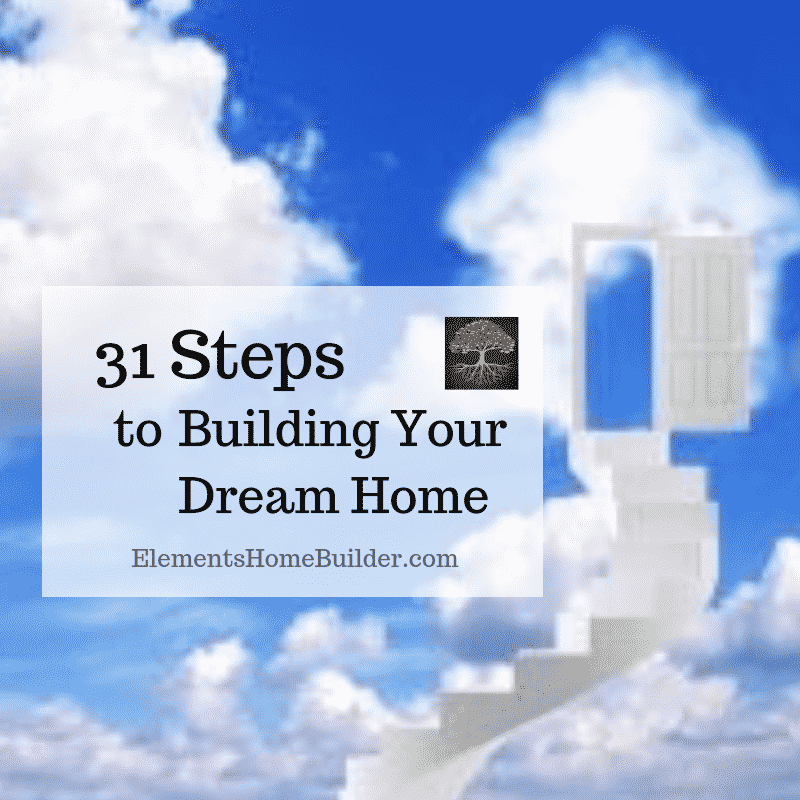 Having the help of a professional real estate agent can be a huge advantage, however. In my professional opinion, it’s worth the investment. As you negotiate price, remember what we discussed above–don’t try to low-ball in an effort to get a good deal. It is likely to backfire on you. (I’ve seen it happen.) Also, remember your budget—and the room you have to maneuver—and stay within it. If you use your entire land allotment budget, that’s fine. It may be totally worth it in order to get the land on which you really want to build. Just remember that the land is the first of many purchases. So, be cautious about going over-budget from the start. Closing Date – Remember you’ll need to close on your loan (either land loan or construction loan – See “Step 1: Obtain Financing” for more information about these types of loans) before monies can be transferred. Because of this, make sure your lender is confident he or she can meet the closing deadline. You don’t want to lose your land at the last minute because the lender wasn’t ready. Concessions – These are items that exist on the property that aren’t really part of the real estate. For example, equipment or supplies (like a tractor, small mobile home, or shed with a bunch of fence posts and wire) are “concessions.” You can ask that “concessions” be either included or excluded in the deal. Survey – You can ask the seller to pay for a pin survey. (See “Step 3: Evaluate Land” for more information about this type of survey.) 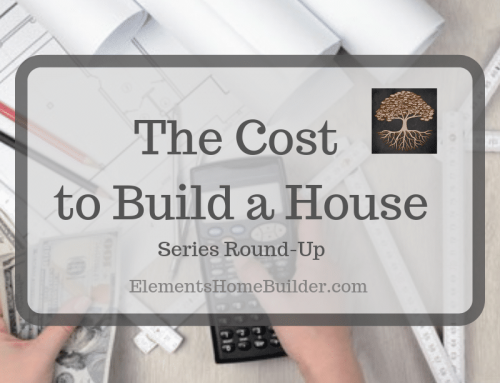 You can also establish that, if the survey determines the property is smaller than originally thought, the price will be adjusted accordingly. Remember that even though a piece of property may initially be over budget does not mean you should automatically reject it. A colleague of mine once negotiated a deal on what was advertised to be an acre and a half of commercial property. 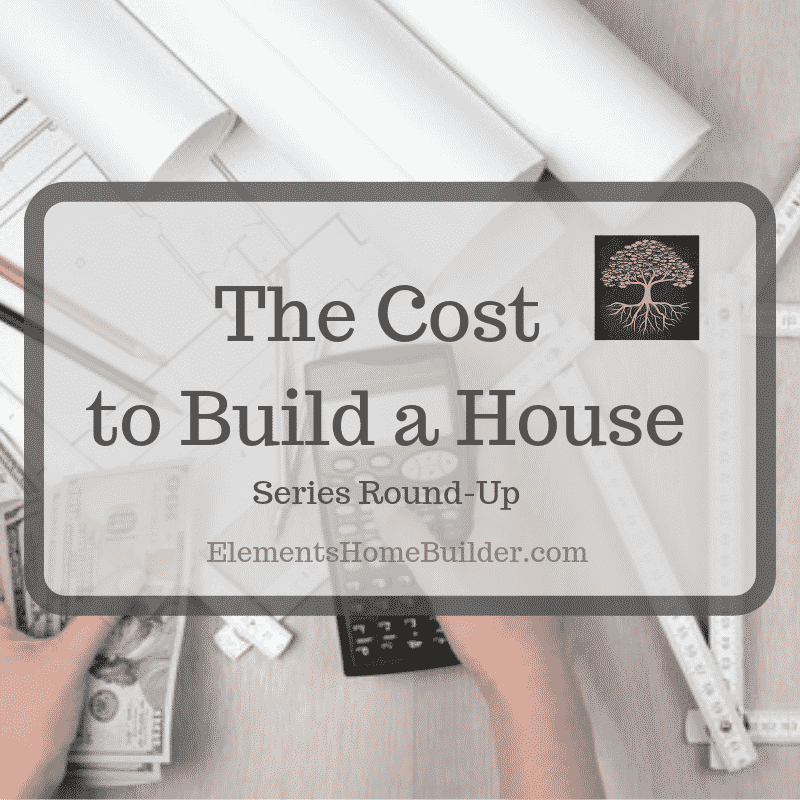 The seller wanted a price that was more than market value and over budget. On closer inspection, my colleague realized the seller was counting the area of land that extended into the right-of-way for the highway the land fronted on. Recalculating the area, they agreed on a new price that still aligned with the seller’s perceived value per acre, but fit within budget. And the deal was made! Once you’ve negotiated the contract (including price and concessions), you can proceed with the survey and finalizing your loan. Then, you’ll be ready to close. Read “Step 5: Close on the Land” for more information about closing. 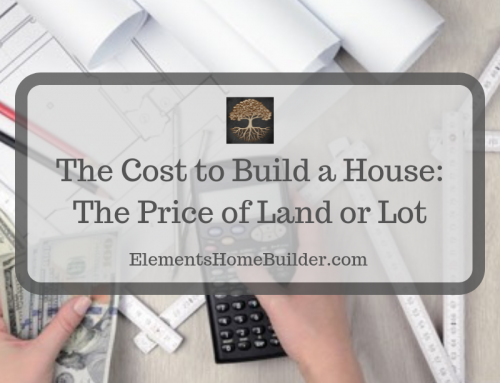 An article in the series, "How to Find and Buy Land," which outlines a three step process when negotiating price, including information about determining fair market value.